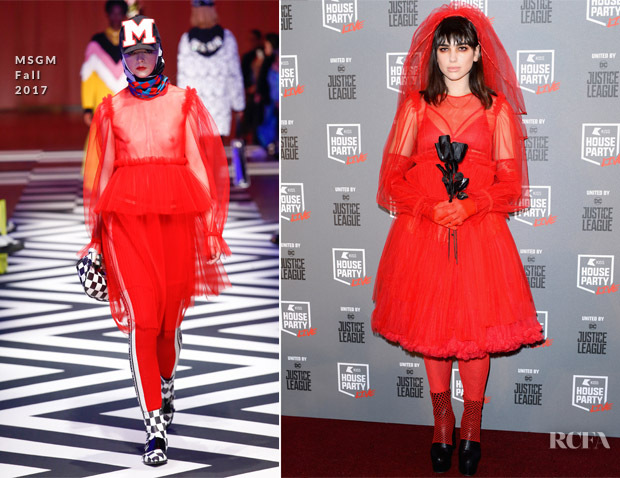 Before taking to the stage to perform, Dua Lipa was on the red carpet at the Kiss Haunted House Party Live 2017 on Thursday (October 26) in London, England. 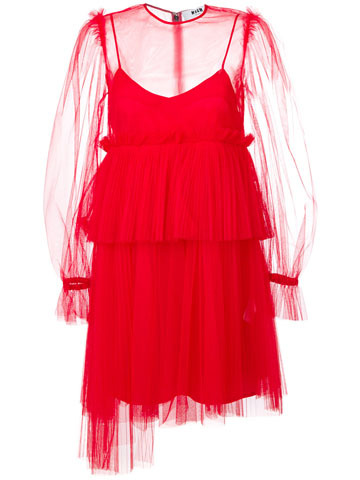 There would be no doubting the haunted Halloween theme in her dramatic look that transformed this MSGM Fall 2017 sheer tulle dress into a blood-red, vampire bride costume complete with a veil. With her jet-black locks matching the black roses, there was a dark intensity of glamour that pervaded the look. And, I have to say, she pulled it off quite effectively in this setting whereby Halloween provided all the reason to go vampy or go home.